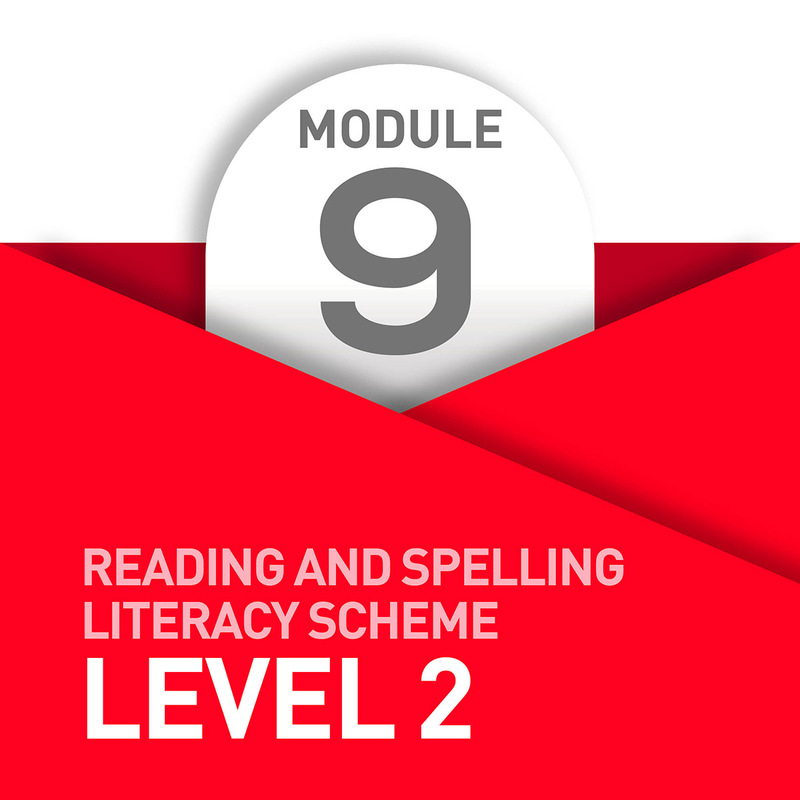 Module 9 includes the simple vowel digraph ‘oo’, with activities on the phonic variations within that spelling choice. 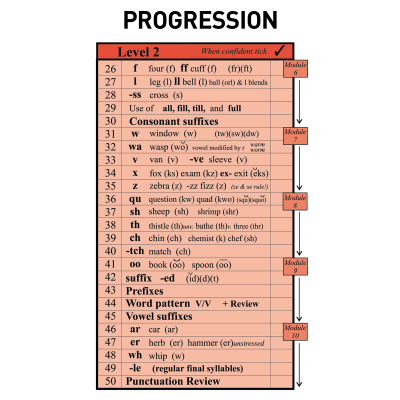 Work on suffix ‘-ed’ is covered and how adding it to a verb will indicate a past action. 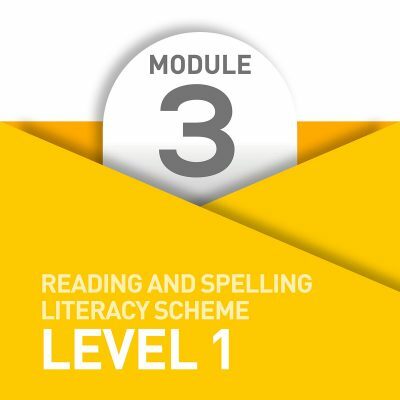 There are three phonics associated with this vowel suffix as in ‘jumped’, ‘yelled’ and ‘landed’ and therefore this literacy skill justifies a complete Star Skill of its own. 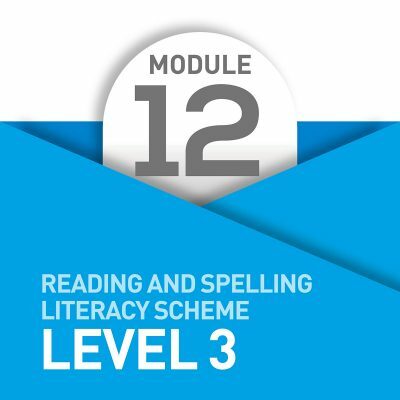 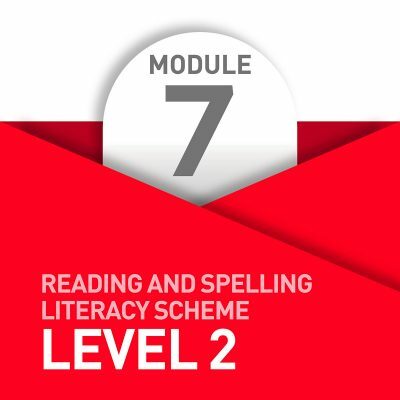 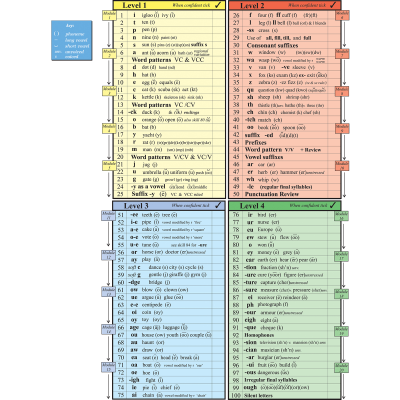 Module 9 also includes work on prefixes, the word pattern ‘v/v’ as in words such as ‘trial’, ‘diary’ and ‘quiet’, plus more extensive work on adding vowel suffixes. It is at this point that all the Level One work covering syllables, word patterns and root words becomes most valuable for understanding important spelling rules when adding a vowel suffix.